respectable-looking facade. 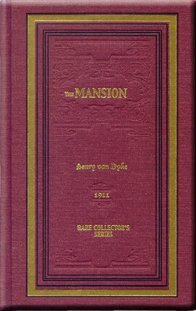 The Mansion takes a piercing look at John Weightman, one of the most "successful" men in New York, and his son, who desperately wants to find his way and be free to make his own mistakes rather than being played like pieces in a game of chess. The Mansionâ€¦it will make you think.